Kubasta, Voitech. Moko and Koko in the Jungle. [Prague]: Artia; London: Bancroft, [1960s]. 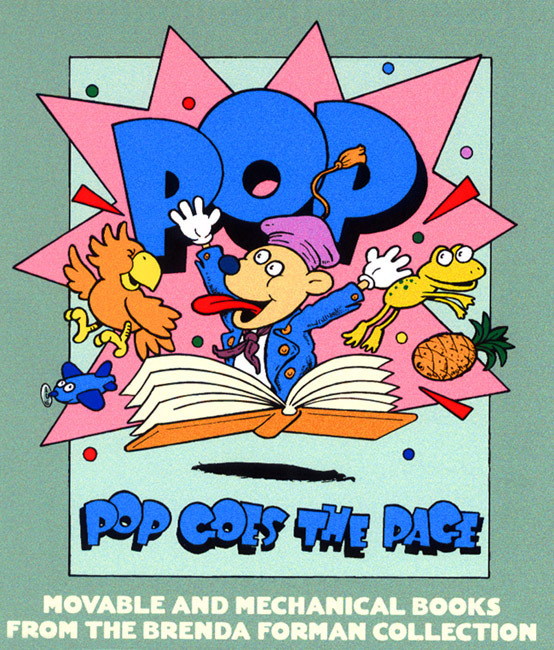 Voitech Kubasta was Artia's premier illustrator. His way of working with bold colors and forms complemented the dimensional effects of the pop-up format. 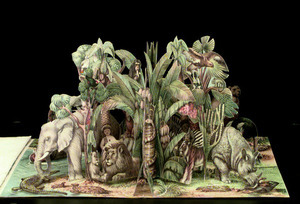 Here, the scene on display is so densely populated with wild animals, rounded up from many exotic locations, that we must look closely to find Moko and Koko. Kubasta, Voitech. The Voyage of Marco Polo. Prague: Artia; London: Bancroft, 1962. Kubasta's flair for dramatic visuals and his individual illustrative style gave the Artia publications a distinctive modern verve, even in dealing with historical and literary themes. This book unfolds to show Marco Polo riding with Kublai Khan in a palanquin on the backs of four elephants. As the great Persian caravan, with yurts, tigers, and falcons, leaves the town of Kambal, the hunt gets underway. Kubasta, Voitech. 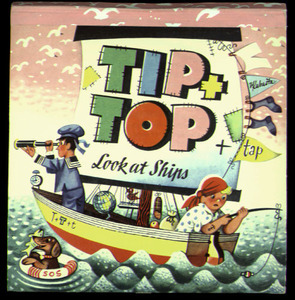 Tip and Top and Tap Look at Ships. London: Bancroft, 1964. Children can easily identify with the engaging characters Tip and Top, making Kubasta's creations excellent tour guides for a wide variety of transportation modes. Kubasta, Voitech. 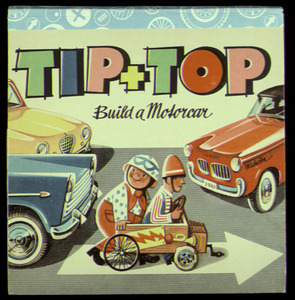 Tip and Top Build a Motorcar. Prague: Artia, 1961; London: Bancroft, 1962. Graphically dynamic but not recommended as a guide to auto production, this book embraces the post-World War II economic boom and its promotion of car culture. Kubasta, Voitech. Tip und Top auf dem Flugplatz. [Prague]: Artia; Hamburg: Carlsen, 1964. Commercial air travel for leisure and business boomed in the decades following the end of World War II. In the 1960s, the term "jet set" came to symbolize a generation of affluent mobile youth-oriented consumers. 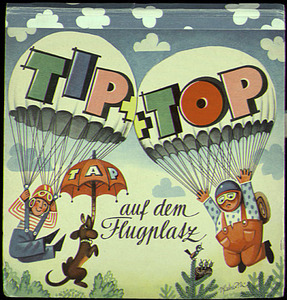 Tip and Top treat the airport as an entertainment park, trying out a wide variety of airplanes and thrilled by the busy atmosphere and sense of adventure. Kubasta, Voitech. 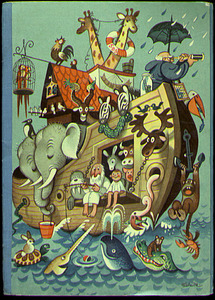 Noah's Ark. [Prague]: Artia; London: Bancroft, [1960s]. This menagerie gives free reign to Kubasta's talents as a cartoonist. In this pop-up, all the animals get along, helping each other to build the ark.